A Rick Hinderer Investigator Pen is an essential tool in more ways than one. Rick knows that that law enforcement and first responders don't always have access to knives and other regular tools when they find themselves in bad situations. 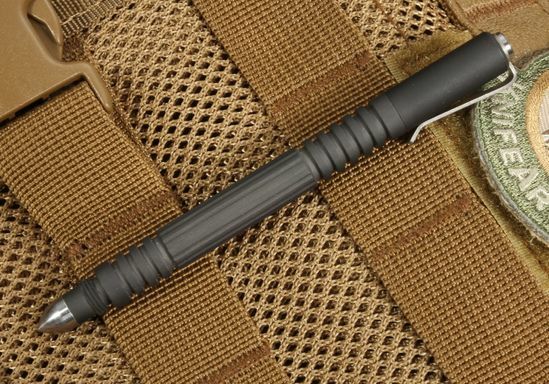 This rugged American-made tactical pen is designed so it can be used for striking and self-defense in close quarters combat if you need help to get out of a tough spot. Rick Hinderer Knives is known for making compact tools, and they have made this field pen as small as the refill will let them. At 4.25 inches long and weighing just 1-ounce, the Hinderer Investigator will fit in any pants or shirt pocket and stay in place using the titanium clip. The aircraft grade aluminum body and black TLC finish are ridiculously strong for the extreme conditions you face. 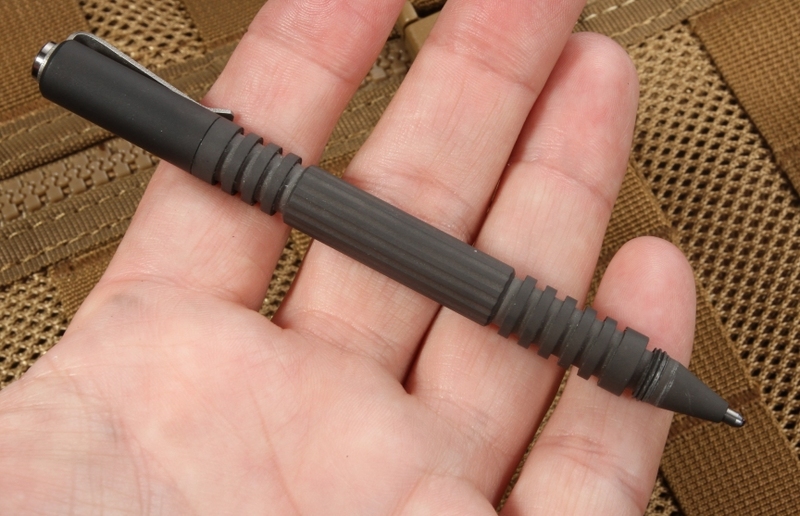 Like all Hinderer tactical pens, the Investigator has a modular end piece. Users can remove the stock bullet attachment and replace it with everything from strike bezels to key chains to meet their needs. 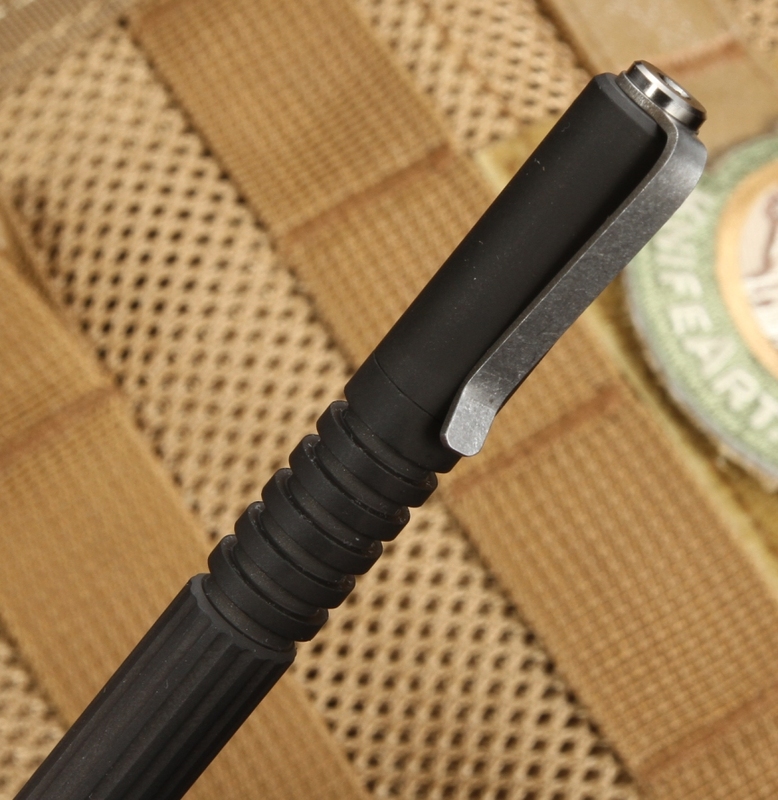 The traction grooves are just like those in the Extreme Duty pen and provide a sure grip in combat. Of course, some will use it as a regular pen, and Fisher Space Pen pressurized refill cartridges (sold separately) will keep it topped up with high-quality black ink. 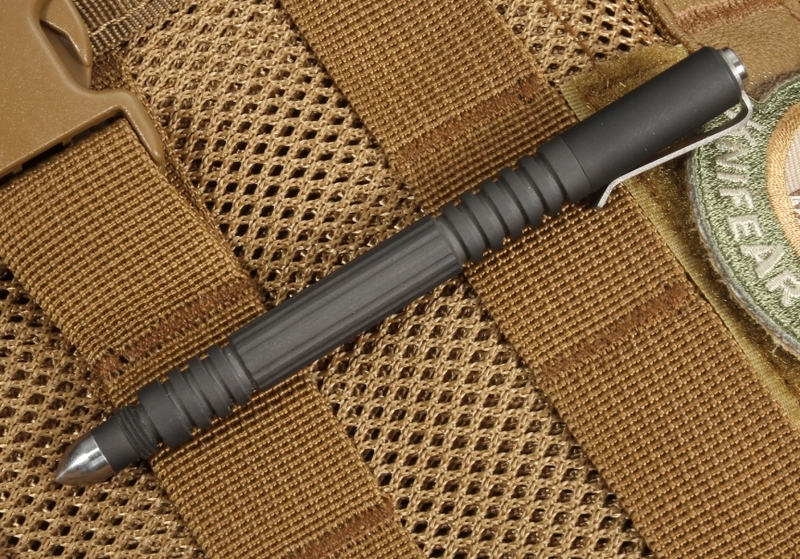 When you need to be armed for combat by hand or by written word, the black Investigator pen is an affordable compact solution. 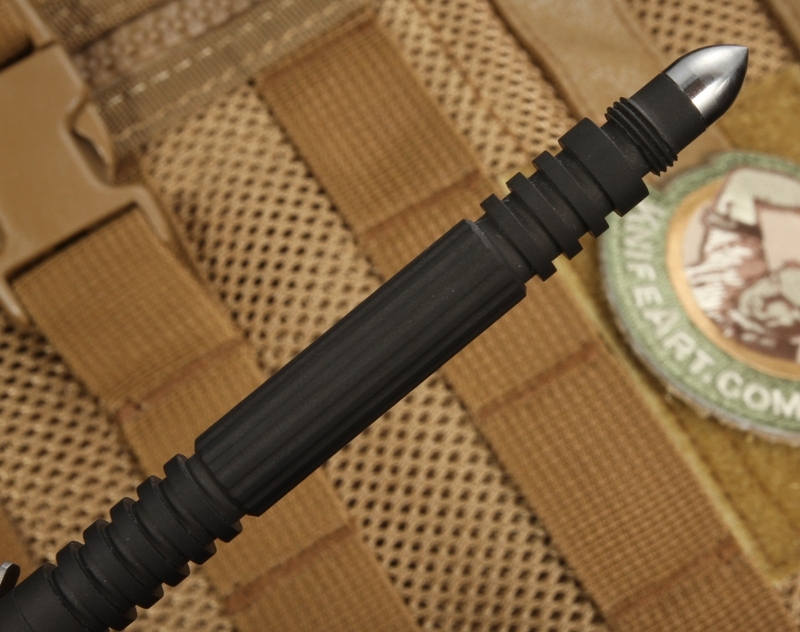 KnifeArt.com will ship your aluminum tactical pen the same business day backed by our satisfaction guarantee. Total Length with Cap: 4.25"